Slice the plantain 1 1/2 inch thick. In a skillet, heat oil and brown each side over medium-high heat. Using a wooden plantain press (or the back of a plate and a cutting board), flatten the plantain pieces. 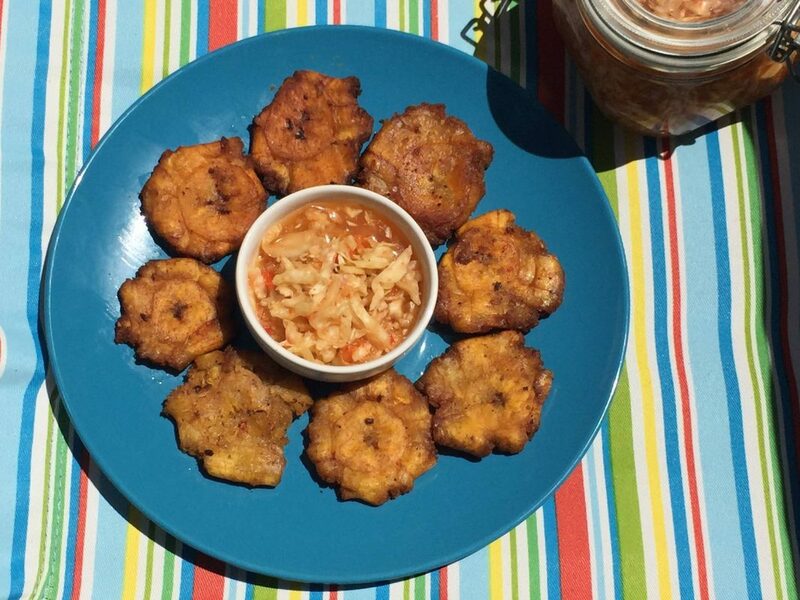 Dip fried plantain disc into a bowl of salt water to avoid the plantains from becoming too brown or oxidized. Fry the plantains again onto the heated skillet with oil. Blot on a paper towel to remove excess oil. Salt to taste. Serve hot with pikliz.